The Government of Fiji is showing strong commitment to gender equality and the empowerment of women and girls through its National Women’s Plan of Action. Fiji’s National Gender Policy has been in place since 2014. There are seven women sitting in the 50-member national parliament (14 per cent).XVII Of the 248 candidates who contested the 2014 general elections, 44 were women (17 per cent).XVIII Strong patriarchal practices, rooted in traditional norms and customs that give more power to men than to women, result in little to no participation of women in community-level decision making processes. The 34 per cent gap in the labour force participation rate of men over women is the highest in the Pacific.XIX Yet women constitute more than 70 per cent of market vendorsXX and actively participate in almost all aspects of agricultural production. 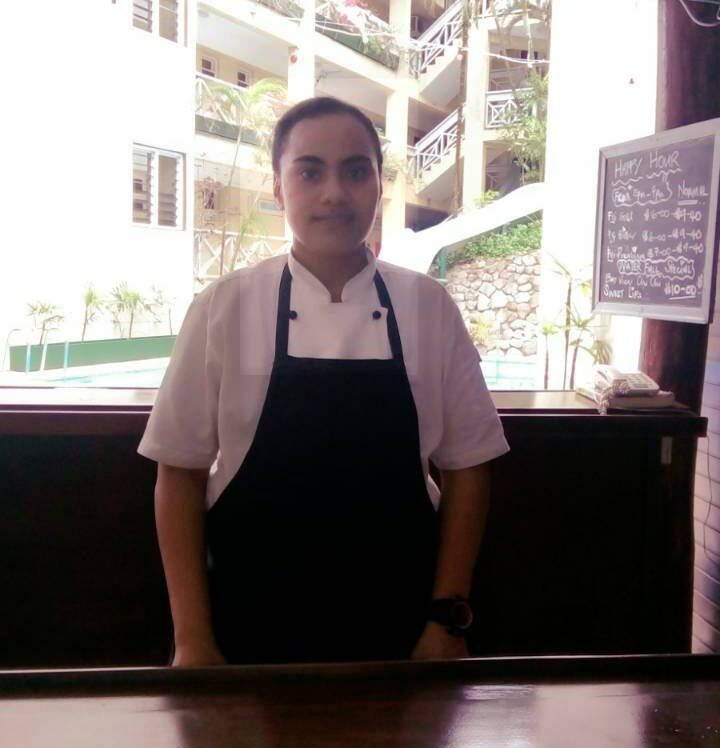 In Fiji, 64 per cent of women aged 18–64 who have ever been in an intimate relationship experience physical and/or sexual abuse by their partner.XXI The Domestic Violence Decree was passed in 2009 and introduced new protection measures, including expanding the reach of restraining orders. The work of women’s rights advocates in Fiji is supporting attitudinal change towards violence against women not only within Fiji, but also throughout the region. 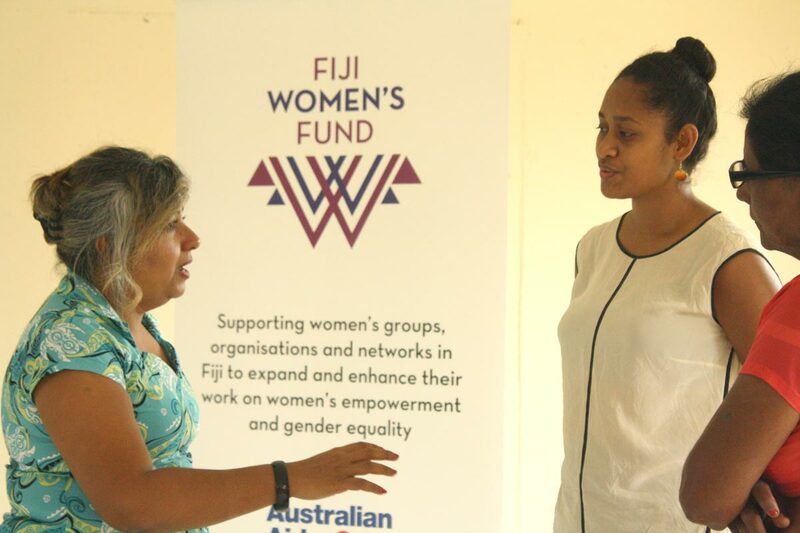 In its first year, the Fiji Women’s Fund (the Fund) is well underway, having established relevant governance and management systems and conducting its first call for proposals. Ensuring proper systems are in place has been essential, with the Fund receiving 226 applications in its first call for proposals. The Fiji Women’s Fund commits $10.5 million of flexible funding to support the work of organisations and networks in Fiji to expand and enhance their work on women’s empowerment and gender equality. Projects supported under the Fund will work to increase women’s economic empowerment, end violence against women, increase women’s leadership and decision making in formal and informal spaces, and support women’s groups and coalitions for change. The Fund’s start-up period has focussed on recruiting five staff members, establishing an office, which is situated within the Pacific Women Support Unit, and developing policies and procedures including a workplan, grants manual and finance and operations manual. Michelle Reddy, a Pacific women’s rights activist, was appointed as Fund Manager in May 2017 and brings extensive experience on gender equality and human rights in Fiji and the Pacific. ‘It’s exciting to be involved in setting up the Fund, a first for the Pacific. Learning from other women’s funds across the world, we recognise that supporting women’s organisations, groups and networks is central for advancing gender equality and making transformative change for women and girls,’ Ms Reddy said. In preparation for its first call for proposals, the Fund conducted 16 information sessions in Suva, Taveuni, Navua, Lautoka, Labasa, Rakiraki, Ba, Nadi and Sigatoka, reaching a total of 596 people. These sessions provided information to women’s groups, networks, and organisations about how the Fund works and outlined the application process for its first call for proposals. Three types of grants are available under the Fund: multi-year funding (with contribution to core funding) up to FJ$150,000, one year funding (with contribution to core funding) for FJ$50,000 – $150,000, and funding for less than one year for FJ$5,000 – $50,000. A Steering Committee has been established to provide overall strategic guidance and support to the Fund. The nine-member Steering Committee consists of representatives from the Fiji Ministry of Women, Children and Poverty Alleviation, DFAT, the Pacific Women Support Unit, the private sector and women’s civil society organisations. The Fund also has a Grants Committee to assess and approve funding proposals. With systems, staff, and governance in place, it is now time for the Grants Committee to assess funding proposals and award the first round of grants. Neema Nand, Fiji Women’s Fund with Mereisi Tavaiqia and Adiamma Sharan from the Red Cross, Ba. Photo: Fiji Women’s Fund. Ms Esther Toma at work at the Suva Motor Inn. Photo: Esther Toma.